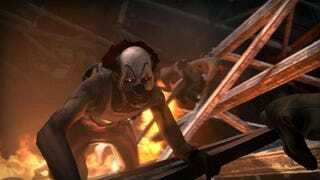 Left 4 Dead 2 will award the avatars of skilled Xbox 360 gamers with frying pans, themed T-shirts and med kits, according to text found buried in the game's demo by Steam forum posters. Steam poster Fade Guy said he found a list of Avatar Awards in a file that also mentions a commentary mode featuring audio be Gabe Newell for the game. I believe this will be only the second game to support Avatar goodies that you can unlock through gameplay. Update: Valve confirmed that the rumor is true, the 360 version of the game will have Avatar Awards.